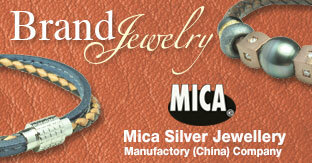 Global Jewelry Special offers hot sourcing information in the jewelry world. Product range covers diamond jewelry, precious and semi-precious gemstone jewelry, pearl jewelry, karat yellow and white gold jewelry; silver jewelry; stainless steel, titanium and alloy jewelry; loose stones such as diamonds, gemstones and pearls; display and packaging for jewelry and watch, clasps and findings, jewelry mountings, etc. Global Diamond & Pearl specializes in the fine jewelry market, providing the most updated market and product news of diamond jewelry and pearl jewelry as well as loose diamonds and pearls. 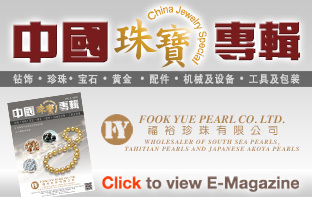 Global Timepieces & Jewelry is one of our reputed magazines which specializes in introducing the latest market and product news of a wide range of products. These include premium watches, stainless steel watches, sports watches, jewelry watches, clocks, etc. ; gemstone jewelry, silver jewelry, titanium jewelry, stainless steel jewelry, fashion jewelry and accessories, bead and rhinestone jewelry, jewelry findings, packaging and display for watch and jewelry, etc.